This week I joined charity Parkinson’s UK to mark 200 years since Parkinson’s was first recognised as a condition. At the parliamentary reception in Westminster on Tuesday 5 December, I met with representatives from the charity and people affected by Parkinson’s to hear about the charity’s ambition to bring forward the day when no one fears Parkinson’s. I talked to staff and volunteers about the strides that have been made in understanding the condition since James Parkinson’s Essay on the Shaking Palsy in 1817, but also the work that is still to be done as there is no cure for Parkinson’s and current medication can’t stop the condition from progressing. Parkinson’s UK highlighted the issues faced by people with Parkinson’s, including getting the right financial support to help with the extra costs of living with the condition. I heard how 25 per cent of people with Parkinson’s are losing some or all of this support as they are moved from Disability Living Allowance to the replacement benefit Personal Independence Payment, leaving people unable to pay for aids and adaptations, energy bills and transport. Parkinson’s affects one in 500 people in Delyn, and can cause a myriad of symptoms including insomnia, depression, and hallucinations, robbing people of their independence. But through more research, improved services, and empowering people with Parkinson’s to take control, their lives can be turned around. I also met crime writer Jessica Mann who spoke at the event about her own Parkinson’s diagnosis and the need for better mental health services for people living with the condition. Parkinson’s UK wants to see quality services as standard for the 127,000 people like Jessica with Parkinson’s in the UK. They also want people with Parkinson’s to feel empowered to take control of their lives, and to take part in clinical trials in their local area to help find better treatments and a cure in years not decades. I want to help ensure that people in Delyn are not losing out as they are moved to Personal Independence Payment. I look forward to raising this issue nationally to ensure people get the support they need and feel empowered to take control of their life with Parkinson’s. “With 2017 marking such a significant anniversary for us, we wanted to reflect on what we have achieved and what we have yet to do in order to improve the lives of everybody affected by Parkinson’s, but we can’t do this alone. 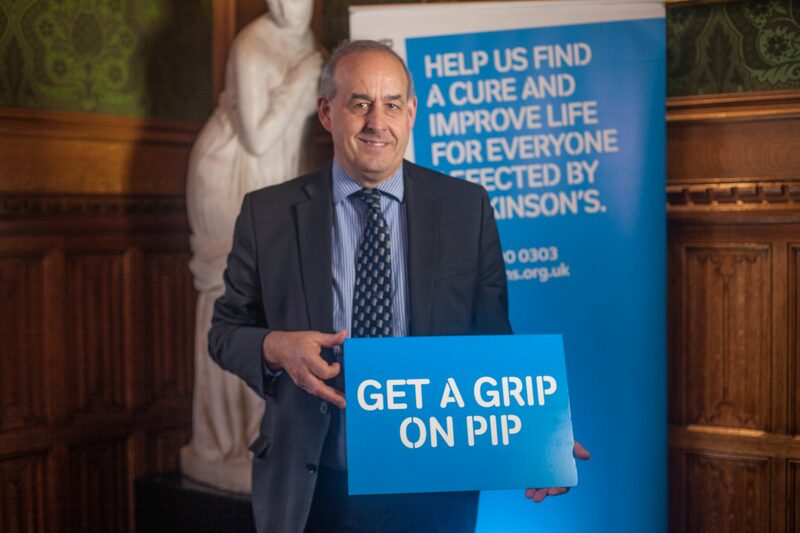 “That’s why it’s brilliant David Hanson MP has pledged to help us ensure people with Parkinson’s are getting the financial support they desperately rely on.